Yungaburra is located a one hour drive from Cairns, if you are taking the Gillies Highway. Alternative routes include the Kuranda Range and Palmerston Highway (travel times vary). 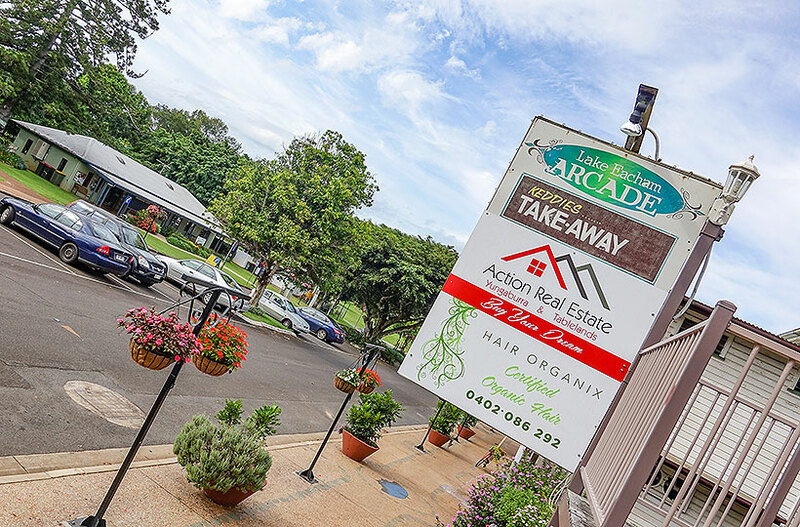 This small village community is home to a permanent population of just under 1,000 residents and is positioned at the top of the Great Dividing Range, 750m above sea level on the Atherton Tablelands. It’s a tropical, green paradise that invites you to breathe deeply of the fresh mountain air, before immersing yourself in a natural landscape, where rich rainforest merges with volcanic crater lakes and rolling green pasture. 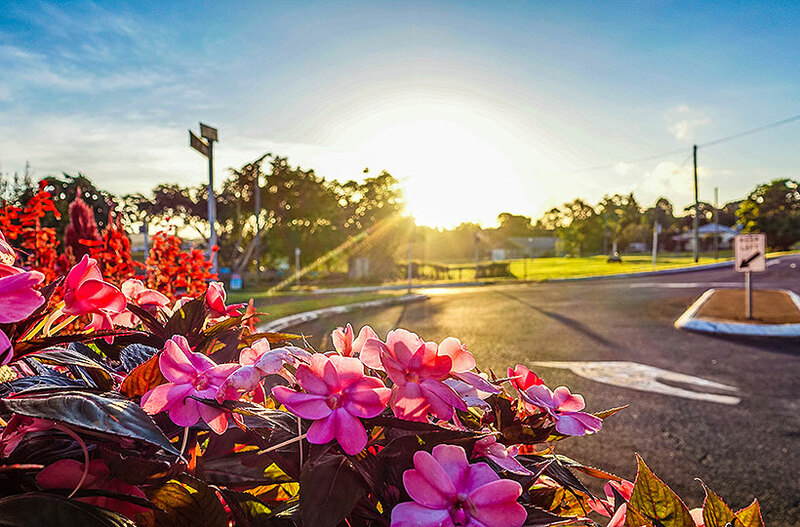 Yungaburra is the perfect base to explore all the Atherton Tablelands has to offer. Apart from the village itself, which is the largest National Trust village in Queensland, Yungaburra is in the heart of the waterfall and lakes precinct. If you are an animal lover or bird watcher, then this is paradise for you. Yungaburra and its surrounding rainforest, lakes and streams are home to a diverse array of native fauna and flora, including the ancient Musky Rat Kangaroo, mysterious and shy Platypus, impressive Fig Trees and climbing vines. 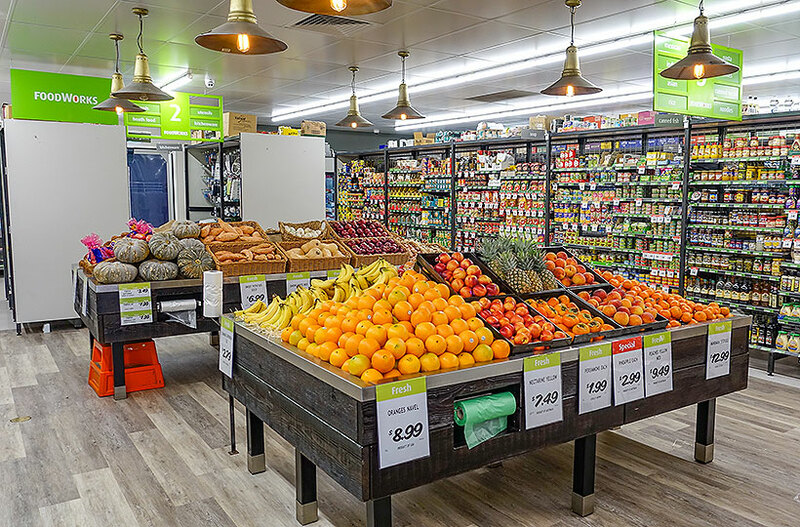 This is a great self-drive location and apart from the impressive scenery, Yungaburra and the Atherton Tablelands promise a fantastic selection of gourmet produce, local dairies, boutique handmade chocolates and cheeses, coffee, tea and country hospitality. Make sure you check out the Atherton Tableland Markets, a great place to see, sample and purchase local produce, art and craft. Want some top tips of things to do from a local? 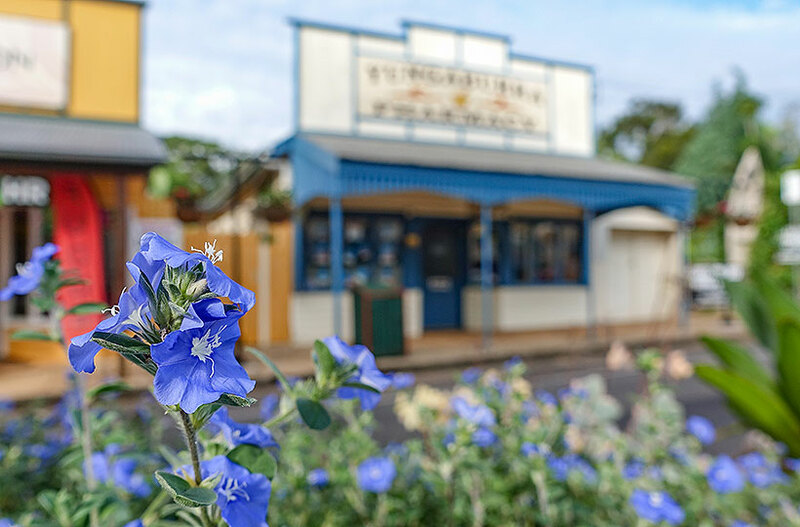 Gina Mete, owner / operator of Yungaburra Accommodation is pleased to provide her Top 25 things to do in Yungaburra and the surrounding Tablelands. 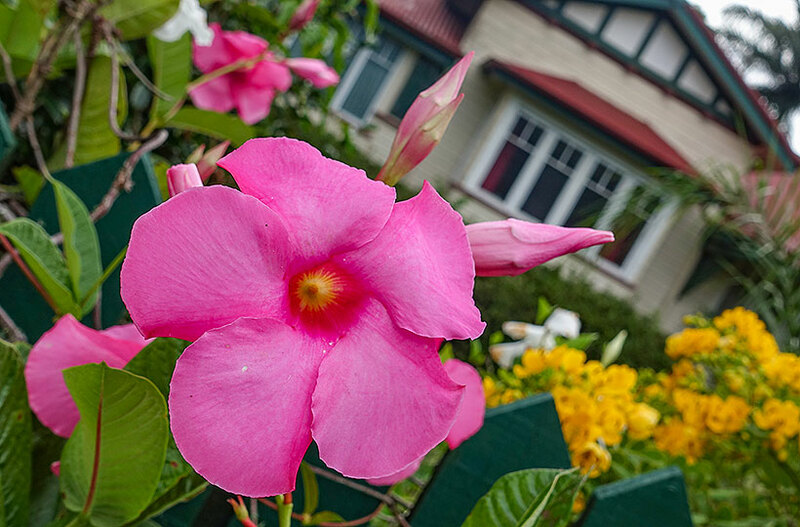 Yungaburra Village is the largest National Trust Village in Queensland, with 18 heritage listed buildings. 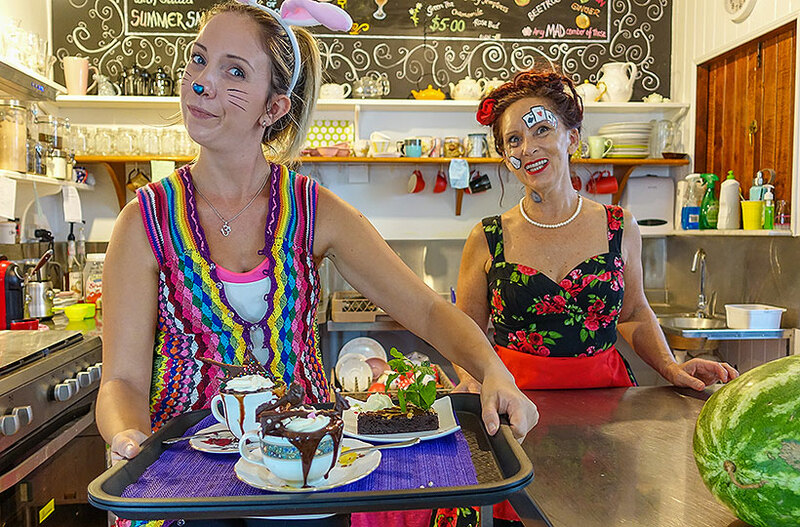 This small country community provides a unique snapshot on what life used to be like on the Atherton Tablelands. Its architecture is tropical Queensland at its very best. 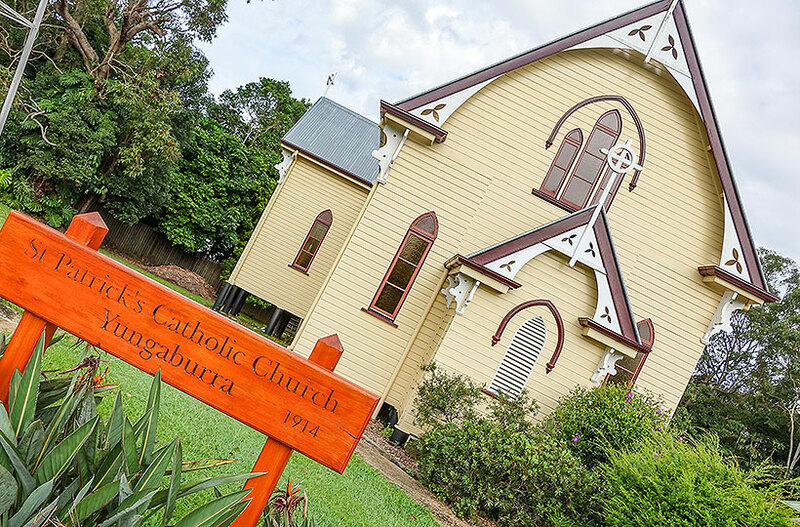 Yungaburra has been the destination of choice on the Atherton Tablelands for over 100 years. 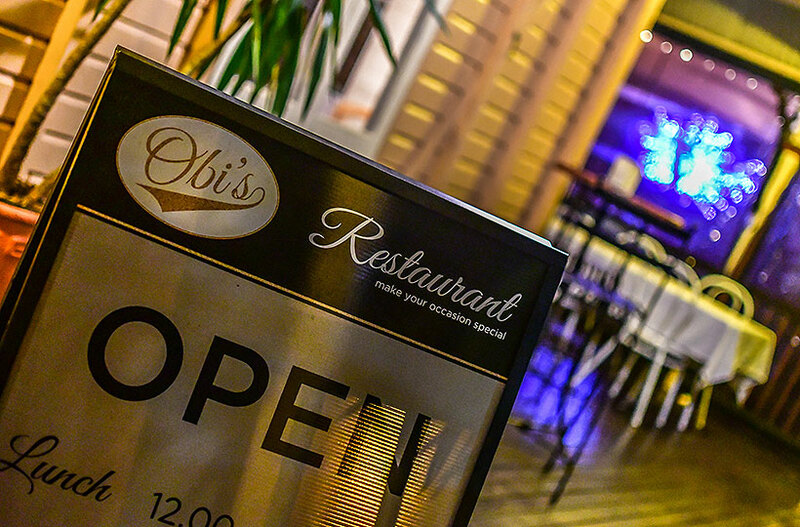 Its natural beauty is complemented by award winning restaurants, cafes and accommodation. The Curtain Fig Tree is an icon of the Atherton Tablelands and fantastic photo opportunity for visitors. 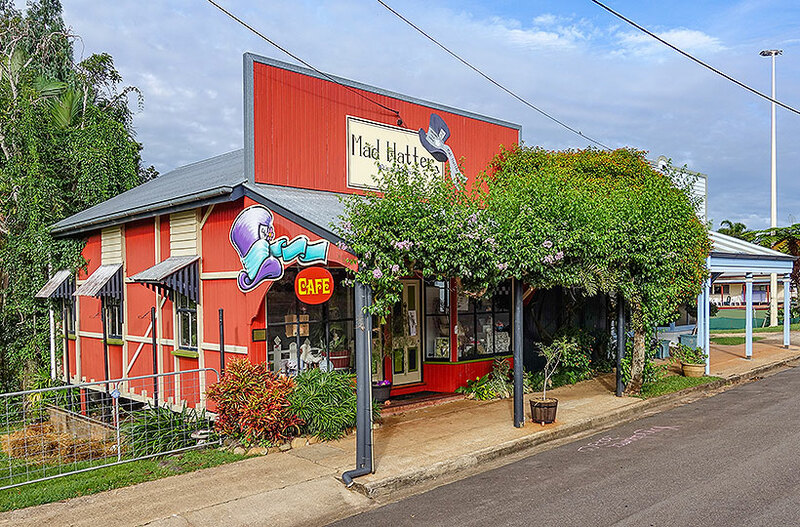 Situated a short, 2-minute drive from Yungaburra, the Curtain Fig Tree is in its own little national park, which also protects a small area of mabi forest. 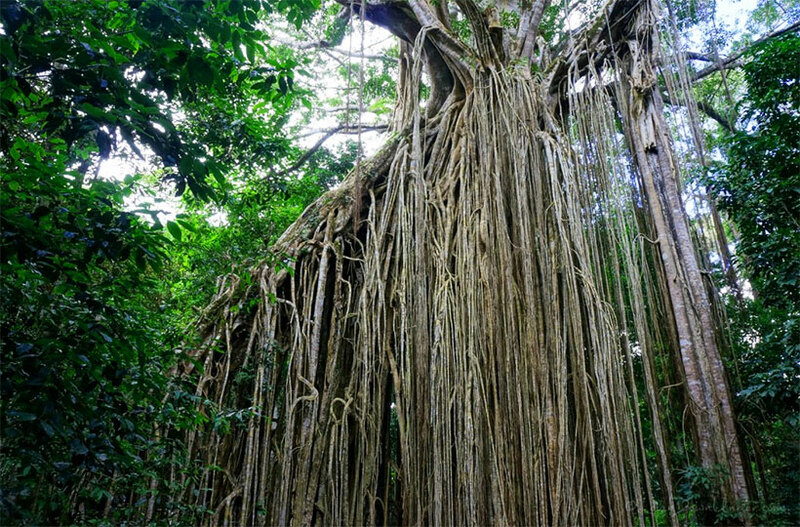 The Curtain Fig Tree is the main feature of this park and is so called because its extensive array of aerial roots, which start 15m in the air and drop to the forest floor, resemble a large wooden curtain. Platypus viewing on the edge of Yungaburra village, at the Peterson Creek Platypus platform, is a great place to see these shy creatures in their natural habitat. 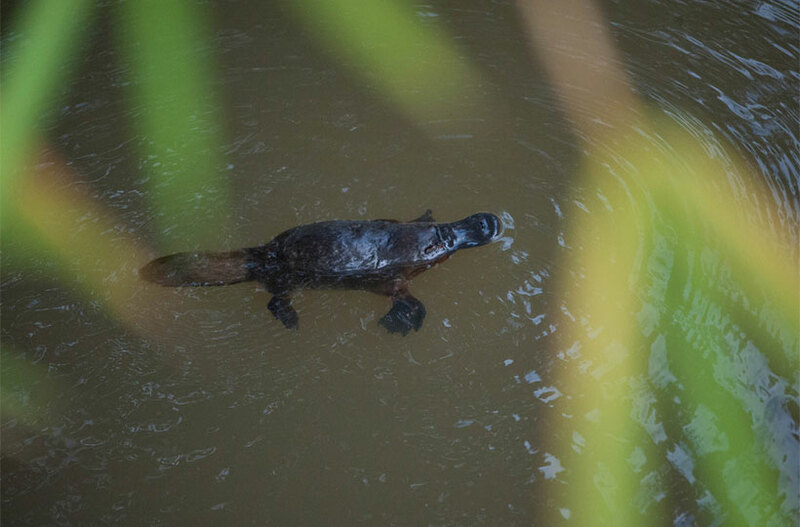 Top tip, visit at sunrise or dusk and be very quiet, for your best chance to spot a platypus. Local markets are a great chance to pick up a unique souvenir or gift for friends and family. 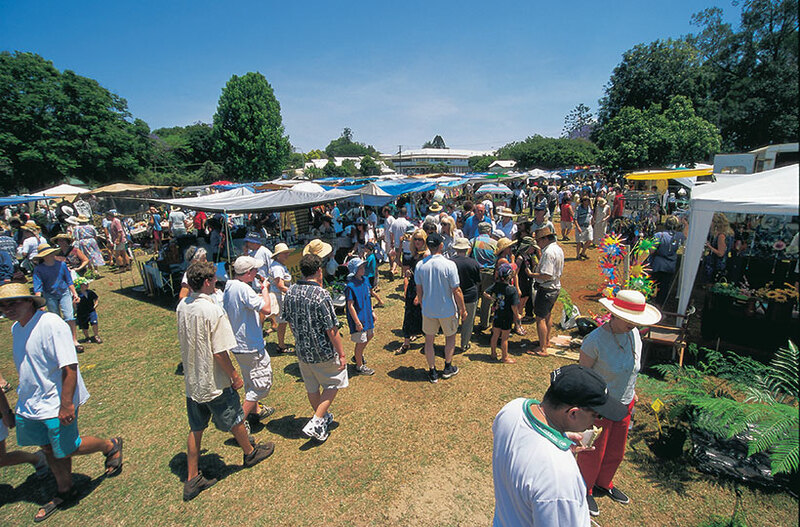 The Yungaburra Markets are often considered one of the best markets on the Atherton Tablelands. Held on the 4th Saturday of the month from January to November, these markets offer a wide variety of local art, craft, produce and plants, clothes, jewelry and more. Friendly locals, great prices, a must do. For your convenience, we’re pleased to provide a full list of Atherton Tableland Markets, dates and details here. 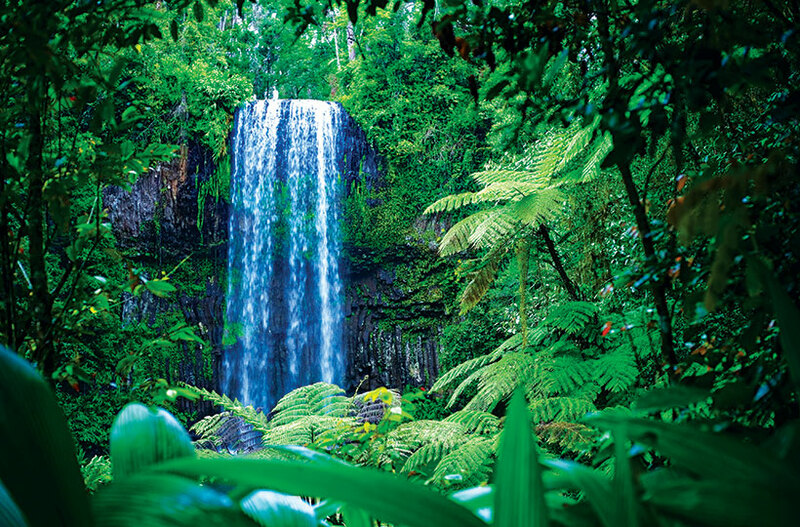 Did you know that the rainforests on the Atherton Tablelands are a part of the Wet Tropics World Heritage Area? This means they are some of the world’s oldest continually surviving tropical rainforests. They are home to endangered plants and animals. They are lush and green. They provide a snapshot as to what all of Australia used to look like. Yungaburra is a rainforest community, surrounded by forest and pasturelands. This ancient landscape has been shaped by volcanic activity, over hundreds of thousands of years. There’s numerous crater lakes and waterfalls, some of the best of which are just a short drive from Yungaburra. Try visiting Lake Eacham and Lake Barrine, Millaa Millaa and Malanda Falls.